Having been for a long time a subject to discuss, the names of Iceland and Greenland remains an open question. A name paradox, while Greenland has more ice and snow than Iceland, Iceland is greener and livelier than Greenland. 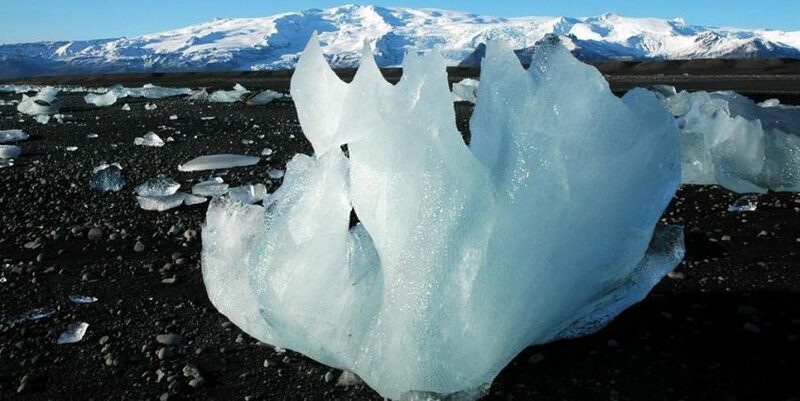 Anyway, the beautiful land of Iceland, partly covered with ice, is bustled with magma hidden under the land surface. The hot essence suppressed under Eurasian and North American tectonic plates produces big amount of heat and energy all over the country. 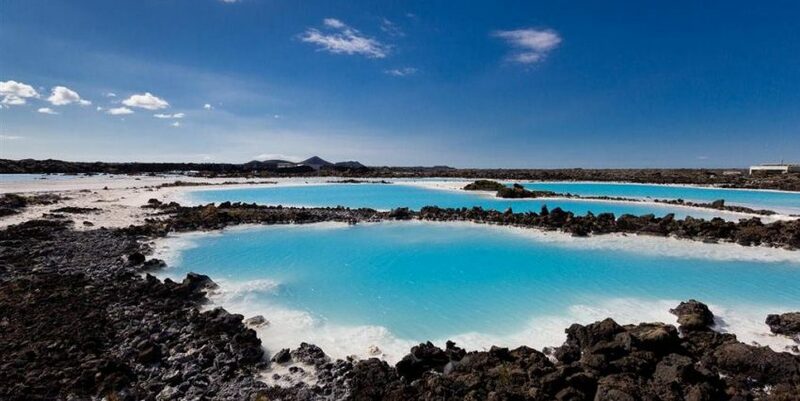 The controversy of hot and cold make this country extremely attractive for tourists from all the parts of the World. While visiting Iceland, you should definitely see a Geyser eruption. Being not only the land considerably blanketed with geysers, Iceland is also a motherland to Geysir, the first found geyser which all geysers were named after. What could be more beautiful and intimidating at the same time than Geothermal Field, covered with mud pots, fumaroles and hot springs! The view of firstborn underneath energy makes your heart soars and thrills with excitement. “ The hills are alive», they used to say of this land. The must-do activity is natural “hot pot” bathing. Blue Lagoon Geothermal small pools in the middle of nowhere are the greatest way to relax in the heated water while the snow is falling from the sky. For the travelers looking for wilder escapades, I’d suggest swimming in the Hot River. But don’t forget to check the water temperature first. And, finally, after all the experienced activities along your way, never forget to try a piece of Hverabraud, rye bread baked in a geothermal oven. One of the tastiest dishes I found in the country and, no doubt, is essential to taste for all the tourists. Voyage the beautiful Norwegian Coast from Bergen to Kirkenes return on board one of Hurtigruten’s 11 ships in winter. A spectacular voyage examining the inseparable links between Norway’s rich heritage and the sea, the Classic Round Voyage is the ultimate way to experience the full majesty and culture of Norway’s coastline. You can join the Astronomy voyage to learn more about the Arctic night sky and the greatest light show on Earth, the Aurora Borealis. 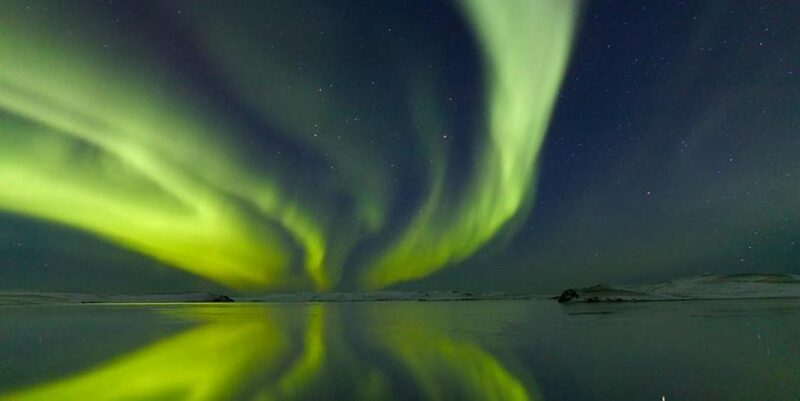 An expert lecturer is on board and a visit the Northern lights Planetarium is included on these particular voyages. This voyage can be done as either the shorter North or South bound voyage as well. Take your neck pillow, put on comfortable clothes. Try to book a first-class or business-class flight. Everyone knows that it’s harder to fall asleep in the seats of economy class. If you can’t afford a high-class flight, take your neck pillow, put on comfortable clothes. And try to sleep during your flight, especially if it’s a long-distance one and lasts more than 8 hours. 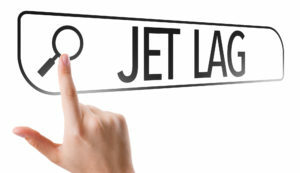 It’s much easier to avoid jetlag when you don’t feel tired and sleepy. 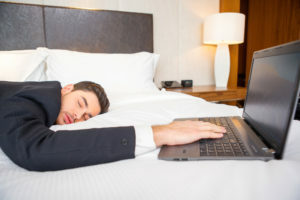 These procedures will help you not only with jetlag preventing, but also they are very useful for your health and well-being. And they all just very pleasant and relaxing. It’s essential not to get asleep during the day. Otherwise, you will have insomnia at night. Try not to stay in the hotel or the place with calm atmosphere. Take active tours, make a busy schedule and stay active till the late evening. During the daytime try to be outdoors. Sun gives you more energy and helps you to stay awake. It’s essential to get an average amount of sleep, which is about 8 hours in a 24-hour period. Flights, trains, buses… long-time wait in the holding area. To make your body quickly adapt to the new routine, sometimes it is essential to book a hotel room between the flights to have a good rest. Remember that you should avoid everything that can cause dehydration. Try to drink a lot of fluids on the day of your flight. A dry air on a board of the plane can be a reason of unwellness. Travelling is a great, inspiring experience. It could be exceptional, funny, philosophical, marvelous and unforgettable. But it could be even better if you follow some advice gathered especially for you by our company experts with a great travel experience. 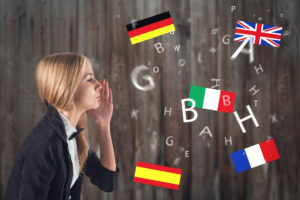 It’s no secret that you don’t need to be fluent in the local language to feel comfortable on your trip. But it’s evidently essential for you to know the most common phrases that would save not only your nerves and time but also money. Memorizing some words and phrases won’t take a lot of your day, but you would like the effect! Don’t hesitate to use them and try to memorize something new while traveling. You never know when you come back to this place. Plenty of pictures will help you to remember every moment of your trip. Remember: it’s always easier to delete something than to regret not making it. No doubt, that edit cards are very useful while you’re traveling. But you should still remember the fact that not every place takes credit cards. Particularly important places like trains or buses, small shops or street markets. Don’t forget that today we can get all the necessary information via Internet. Bringing your own device that can pick up wifi will be an invaluable help for you. With lots of free wifi places all over the World, you can easily connect web-site of any restaurant or hotel, look through the menu or make a booking, find a train, plane or bus schedule and just to keep in touch with your family and friends. In case you loose originals of your documents, be prepared to keep both electronic and pape-based copies of passport, visas, driving license, health insurance, and all the other relevant documents. Don’t forget to have all the necessary phone numbers to call in a case of emergency. It’s great when you’re trying national dishes in cafes and restaurants, but If you’ve been invited to anyone’s home to try a home-made version of this recipe, that would be even better! Eating, chatting and feel the unique atmosphere of foreign culture is truly priceless. Not only the top destinations make the trip unforgettable. It’s even more adventurous and exciting to stroll over the place on your own. Where else you can relax from busy sights full of tourists than in the streets of the city and local areas? But don’t be over-risky and try to avoid dangerous areas. Take it everywhere. Seriously. You never know when your phone/tablet/notebook get discharged. And some people have there all the necessary trip information. Nowadays apps on the market have everything including travel guides, maps, vocabularies, and everything else! Even if you’re traveling with the help of travel agency and you are not worrying about anything, you better do your research. 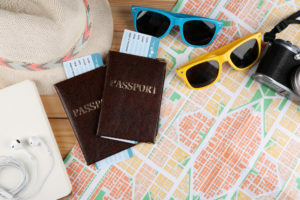 Plan the places you ant to see, restaurants you want to have meals in and events you want to visit. Are you looking to take yourself and your clients to the next level of Luxury Travel? Do you need Industry Connections, Support and a Network to help you get there? Contact us to learn more about our Virtuoso Advisor hosting program! YYZ Travel Group has celebrated its 30th anniversary at the Eagles Nest Golf Club in Vaughan last night. More than 200 clients, staff and preferred partners have gathered for the celebration. The evening featured a silent auction for Cardiac Kids in support of SickKids Foundation, prizes and the theme 30 years of picture-perfect memories. “Building a business is like raising a child – sleepless nights with a lot of rewards,” Alexandra Pelts, president of YYZ Travel Group, told the guests. “The secret to our success and longevity in the industry comes down to a passion for what we do and continuous professional development”, added company’s presidents Alexandra Pelts, Vicky Zaltsman and Inna Zelener. Signature/Sunwing, WestJet Vacations, EL AL Canada, Auto Europe, Blue Cross Insurance, Grand Vellas, Starwood Hotels & resorts Worldwide, Air Canada, Porter Airlines, Delta/AirFrance/Alitalia, Lufthansa Airlines, Transat, Jet Airways, British Airways, Four Seasons, Atlantis Hotel. Tours are a wonderful way to explore Greece. There are variety of tours available, individual, group and guaranteed departure tours. This is a great way to travel more efficiently, delve deep into the culture and history of Santorini and the surrounding cities. Santorini is known for its stunning sunset. It has an orange glow, pink mist and violet haze. 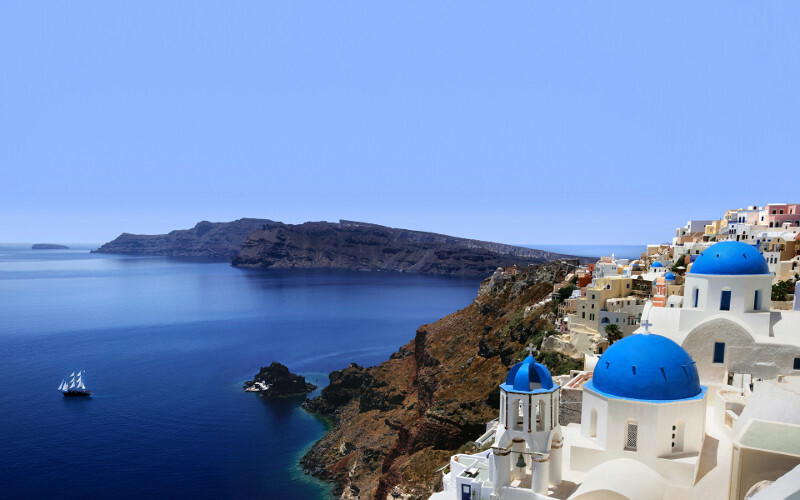 The village of Oia is considered the most popular and a perfect sunset-gazing spot. SantoWines is a popular winery that offers distinctive wines with a breathtaking view of the Santorini volcano and the Aegean sea. Sipping wine while listening to live music and watching the sunset is a definite must to do for everyone visiting Santorini. Domatokeftedes (Tomato Fritters) is a specialty from Santorini. It is made with local cherry tomatoes, mint, parsley onion and flour. For dessert, Melitinia is a must try. It is the Easter treat in Santorini and can be only be found in few bakeries. Every person that visit Santorini should must not miss this experience. 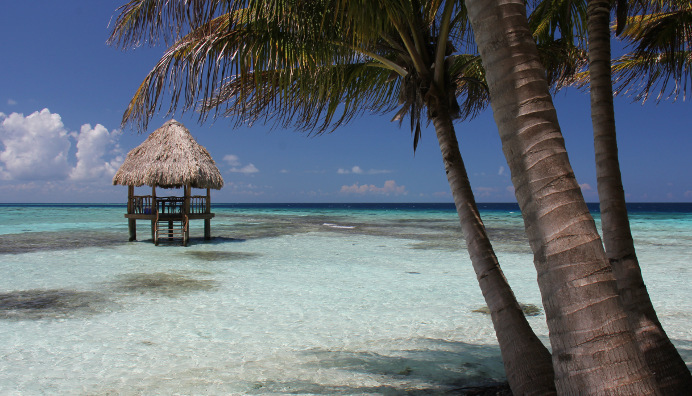 You will be in awe of the incredible landscape & breathtaking blue waters. You won’t believe that you’re standing in the remains of an ancient volcano. This museum invites you to a truly unique wine-tasting experience. You will learn fascinating history about the wine business, experience 3D-sculpted models that sometimes move and a wine tasting session at the end of the tour. I love Las Vegas – and being a travel agent – and avid traveler, I get to see it often and always from a different perspective. This was my 15th trip to the Sin City and it was jam packed with all kinds of things I can tell you about… not everything that happens in Vegas should stay there.